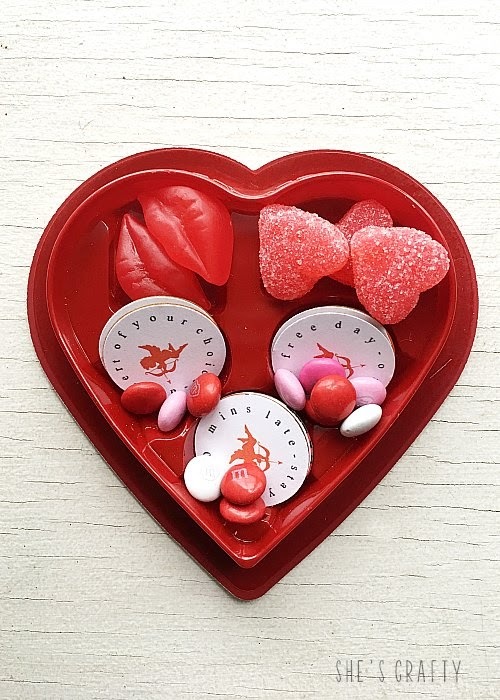 Valentine's Day is getting close! If you're still looking for Gift Ideas, I have an idea for you. 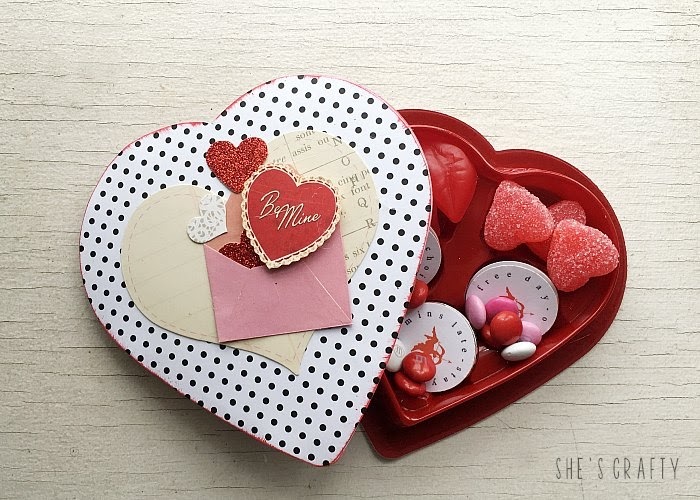 Makeover a Valentine Chocolate Box and fill it with treats and coupons! 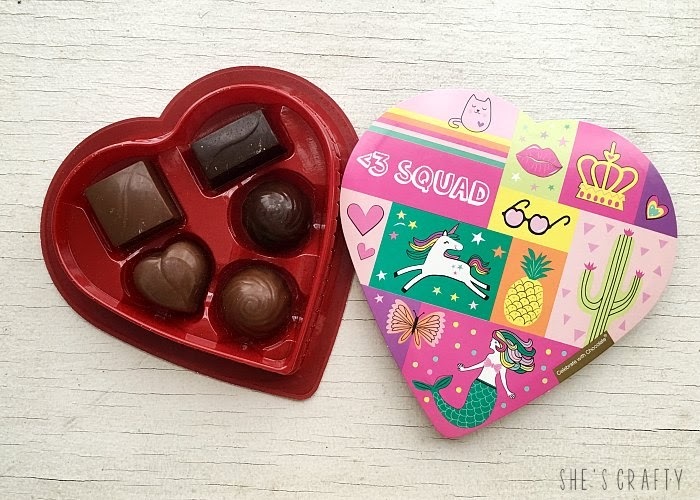 Just about every store carries small boxes of chocolates with pre-printed designs on them. They are ok, but ok isn't really the look I'm ever going for! I really wanted to put my own spin on them! And really, I'm not a big chocolate fan, so I threw them out! *Trace the top of the box onto the back of cardstock or patterned paper. 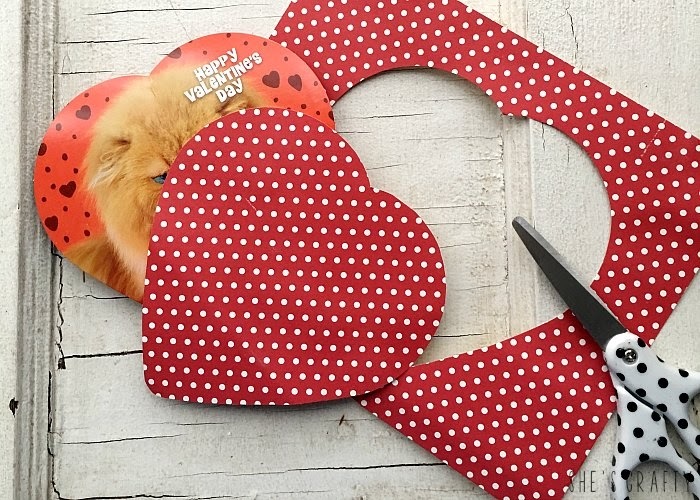 *Cut the heart with scissors. 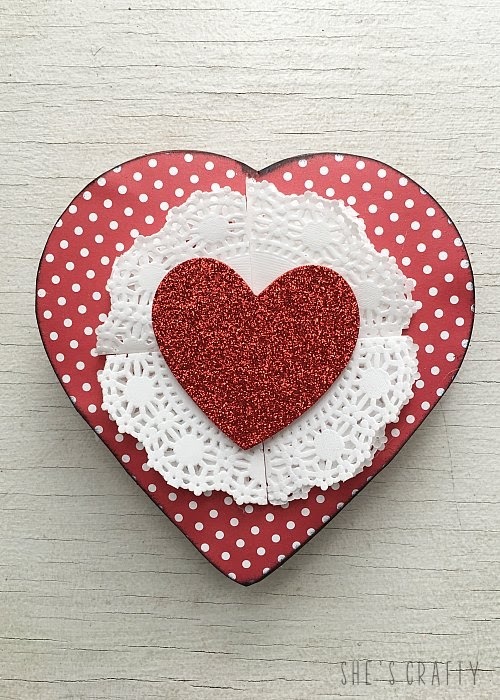 *Glue the heart onto the top of the chocolate box. *Decorate the boxes with various craft supplies. 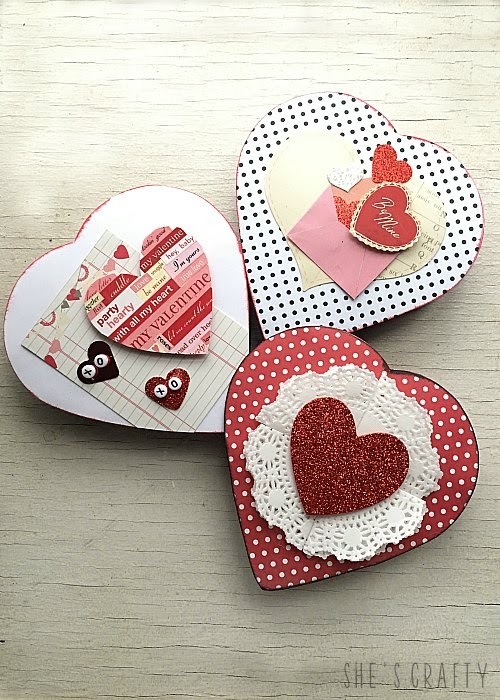 I dug through my bins of supplies and pulled out hearts, stickers and doilies. Then I just played around with the designs until I had boxes I liked! 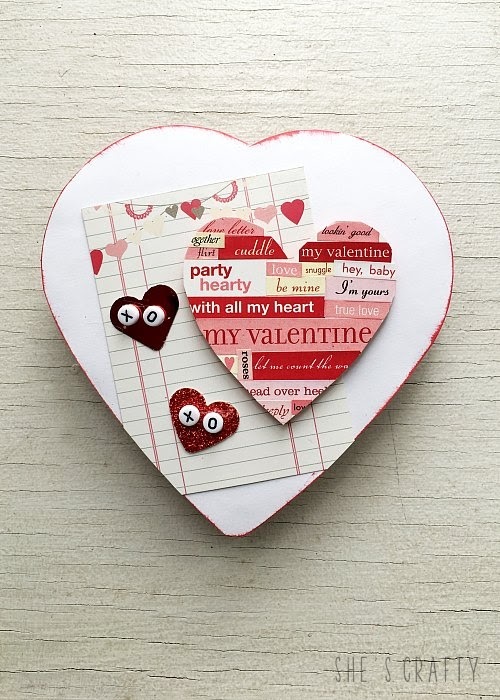 For this heart I used a die cut library card, and a die cut heart covered in stickers. Then I put X and O beads onto heart punches. For this box I folded paper doilies into fourths to create depth, then glued them into a circle. Then I glued a glitter heart die cut into the center. 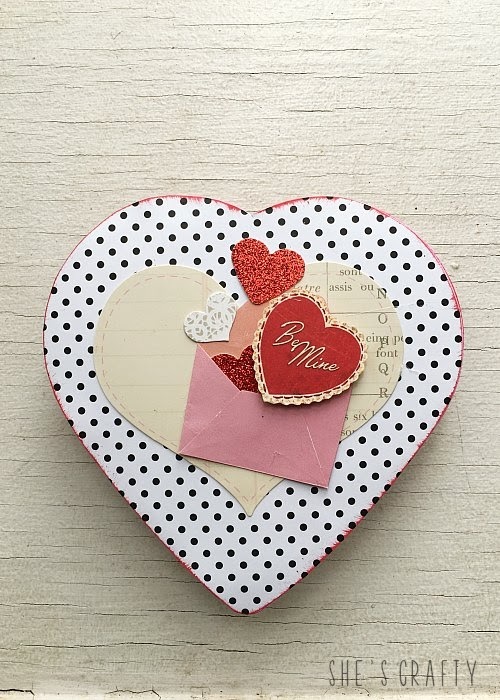 For this box, I used several die cut hearts and an envelope. I used foam squares to give the be mine heart dimension. 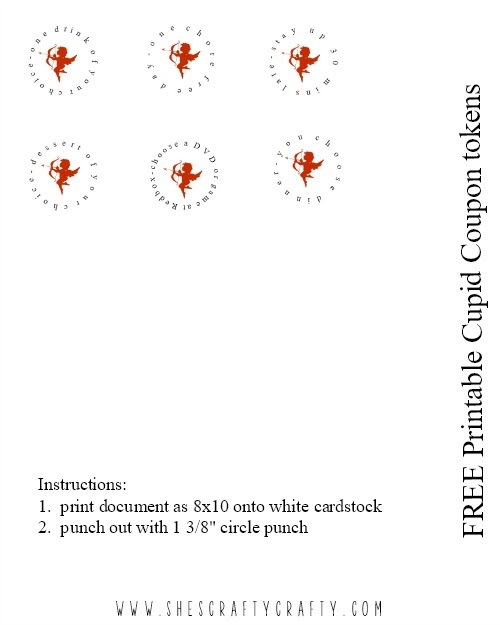 Print coupons onto white cardstock. 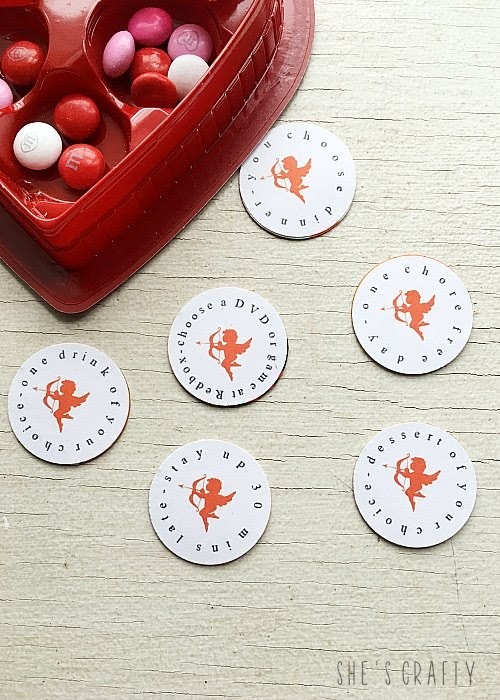 Punch each out with a circle punch. I used a 1 3/8" punch. You could use a 1.5" punch. 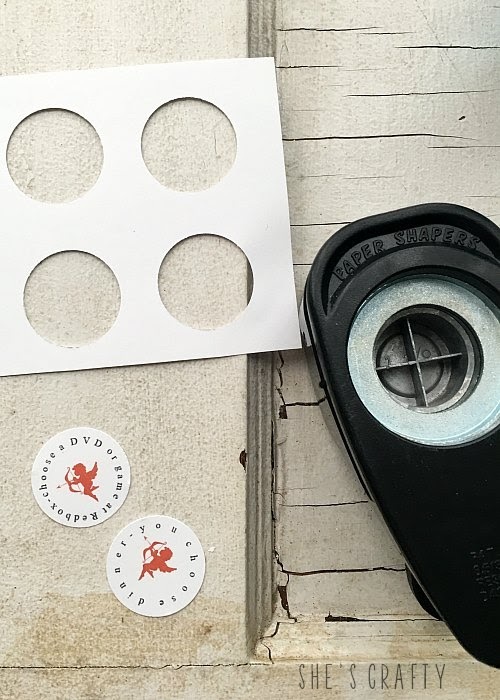 After punching, I reinforced the tokens by gluing them to a piece of cardboard punched with the same circle punch. 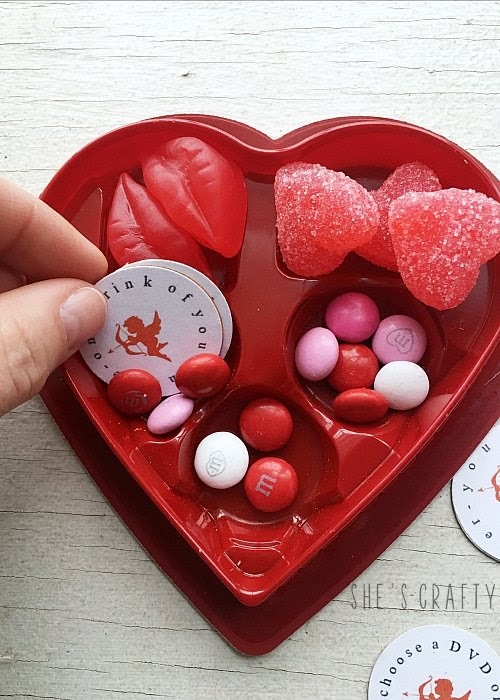 I filled the Valentine Chocolate Box with small candies, then tucked in the Cupid Coupon Tokens. 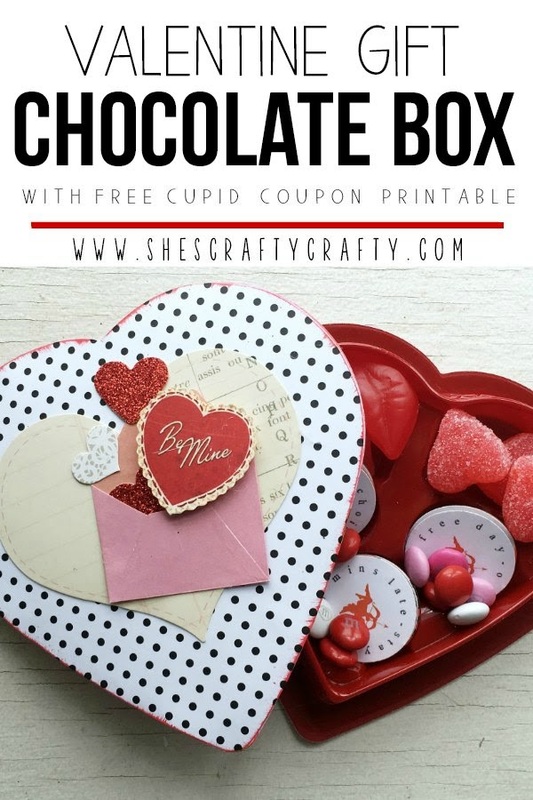 This Valentine Chocolate Box makes the perfect simple gift for kids! 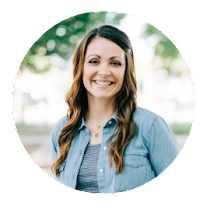 Anyone would be happy with a box full of candy and coupons for a special treats!